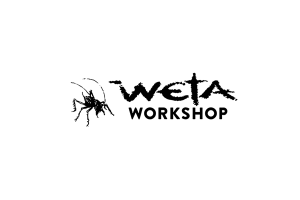 Based in Wellington, New Zealand, Weta Workshop’s gaming division, internally known as Weta Gameshop, is an eclectic mix of game developers, musicians, artists and passionate industry professionals. Our team is made up of a diverse range of developers from many nationalities, and we pride ourselves on our unique studio culture, which espouses a strong work/life balance, standard working week and above all else, a sense of fun and mischievous enjoyment, while strongly embracing cultural diversity and individuality. Having recently shipped our inaugural title – Dr. Grordbort’s Invaders – to players and critics acclaim, we are expanding our team as we move onto crafting new and exciting experiences for the revolutionary Magic Leap platform – experiences which will not only be groundbreaking in their own right, but ones which will also further help to cement Magic Leap as the future of interactive entertainment. We are currently looking for an exceptionally talented Producer to join our team in beautiful Wellington and help us build the next generation of immersive, spatial computing experiences. Reporting to our Senior Producer, and working closely with the Studio Director, our ideal candidate for this role will have previous games industry experience – with at least 2 commercial titles shipped in a producer capacity – and a proven ability to manage and support game development teams across projects of all shapes and sizes. In addition, you will have a knack for forecasting and resolving individual and team blockers/impediments, be a task tracking and scheduling master, be comfortable interfacing closely with key stakeholders and senior managers and lastly, have an unwavering desire to deliver spatial computing projects of the highest quality. Further to that, we are especially keen to speak with producers who have previous experience working on multiplayer projects, or in a LiveOps capacity. In return, we can offer you the opportunity to work with an experienced team of industry veterans on amazing, world-changing experiences for an exciting new medium. What more could you ask for? Create and maintain project schedules, and be able to derive various production metrics which can be used to accurately define key milestones and project dates. Promptly identify and resolve current and future blockers and cross-dependencies which may hinder efficient game development. Work closely with department leads and directors to prioritise development of critical gameplay systems and toolsets. Provide regular updates to senior stakeholders on project status and other critical project information. Create and curate critical documentation, ensuring that any and all required information is current and easily accessible. Work with key internal and external stakeholders to define long term roadmaps, production priorities and hiring requirements. At least 2 shipped commercial titles in a Producer role with a team of 10 or more. Proven experience directly leading game development projects from inception to launch. High proficiency and previous experience working with industry-standard project management tools such as JIRA. Strong self-sufficiency and time management skills, able to work independently with minimal supervision. A genuine passion for games, and a strong desire to push the limits of Mixed Reality/Spatial Computing experiences. Previous experience with Multiplayer titles and/or working in a LiveOps role would be highly regarded, but is not essential. Bonus marks if you already possess the right to work in New Zealand, however we are happy to assist with obtaining an NZ visa for the right candidate. Applications close on Friday, 7th of May.